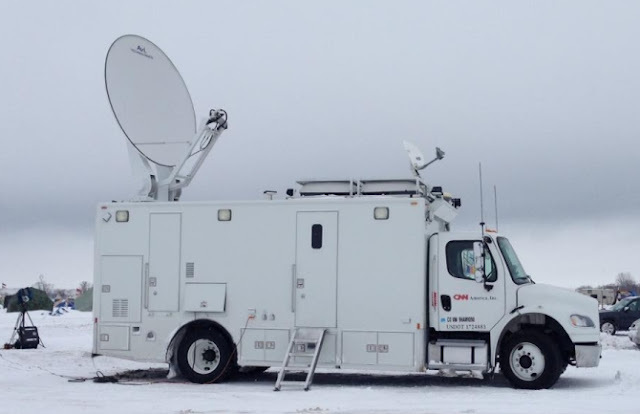 CNN has officially set up with a satellite truck on location to give daily reports at Oceti Sakowin. Despite heavy snowfall, extremely windy conditions, thousands of people continue their resistance to the Dakota Access Pipeline. Despite the cold, protesters maintain a strong community at the camp. “People are making this place their home," Xaykaothao continues. "They want to be a witness to the protesting, to the prayers. And it is actually [being] called a 'spiritual war.'" Bloggers, freelance journalists, and staff reporters with such elite publications as Vogue and The Washington Post, The New York Times are already there. 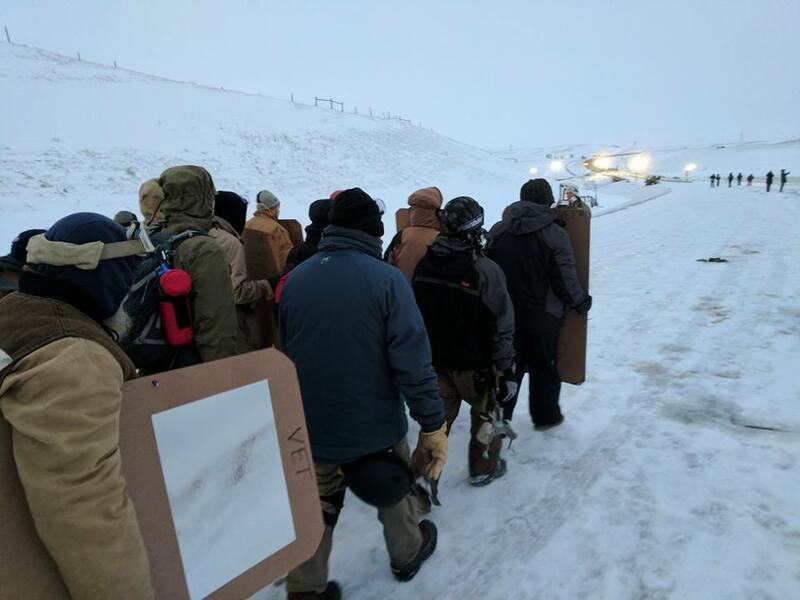 Leaders of "Veterans Stand for Standing Rock" said they're ready to go to North Dakota -- even though it was 29 degrees Fahrenheit there Wednesday afternoon. "See you all on the ground in Standing Rock," veteran Wesley Clark Jr. tweeted Wednesday. "We are coming with Truth, Justice & the American Way as it was always meant to be. Peace. #NoDAPL"
Responses to "CNN is at Oceti Sakowin Sacred Camp to cover Veterans' arrival"
THANK YOU for sharing our beautiful VET's taking care of the water protectors!! Keep it up you all. As our Veterans head out to Standing Rock Let’s all keep them in our prayers. Whatever your beliefs we can all come together understanding that we are all one, all part of the earth and sky and that when we pray our being moves with the truth of our heart inside those prayers. Let us all stand together united in one peaceful understanding that the water is sacred to all life. Let us all direct our energy to praying for the water, and the water inside us all that creates life. Allow us to understand our part in what we take from the earth and what we give back. As the creator guides us with conscious truth may we all seek our direction with a peaceful heart of the veteran who has seen the pain, frustration, agony and despair of battle and is ready to become one with the earth inside the circle of hope. May our prayers tonight be with the earth, the water, the sky, and the people, turning them from taking to giving as the spirit of the Veteran gives it’s life we give our lives to the creator to direct our thoughts and being. Daneho. Aho. Amen. Peace. THEY MUST OF TOOK THE LONG WAY THEIR LATE. From one vet to the many.... Peace, my brothers, and may the Gods be with you and may the Goddesses take you in their bosoms and keep you safe. For some of us, Standing Rock was a crucial part of the 2016 election and considering the dynamics of this, we did not understand why the press thought that there even should be a separation of the election from this issue. It is time for people to understand just how DAPL got from point A to Point B and why it is now stick at point C. Take the 1,172 miles of pipeline and understand this much for every less than or up to 1 acre of land in this stretch of pipe, excluding whatever lad DAPL was able to take by imminent domain, all of the other land was take by applying to ACE for what is called a Nation-Wide Permit # 12, which is meant to be used for building things like a playground or a boat ramp, not for the laying of steel pipe for a carrier of crude oil mixed with 14 chemicals. By using this type of a building permit, it was not a requirement to do an environmental impact study or research for historical sites and markers. So the last piece of land, which does require an environmental impact study as well as any and all other discoveries of sacred sites and burial lands, is the one piece of property that ACE has not released to DAPL.,the "easement," property, for which the studies are required by law. The entire length of pipe from ND and SD, has been built on unseeded land protected by the Fort Larrimee Treaty of 1851, with amendments that have occurred thru the years, but this land remains in tact and does belong to the the Standing Rock Sioux Tribe, and this includes that "easement piece," that was illegally taken over by the ACE. This is the history so far..pending the final decision by the ACE to release the easement permit or to denied the permit is anyone's guess at this time. With all of the human rights, US Constitution and Amendment rights violations on record, in which DAPL/ETP/Sunnoco-Phillips--66, the US Army Corp of Engineers, Governor Dalrymple, Sheriff Kirchmier, G4S Security, and all of the inner and outer state police departments who have engaged in the crimes agains the Standing Rock Sioux Nation, all other Nations, and all other civilians who have come from all over our country and all over the world, this is a case whereby all parties who have committed the crimes against the Water Protectors, should be forced to stand-down, be served with warrants for arrest for multiple offenses, detained until tried. All of the pipeline that has been laid in the 4 states should be removed and the cost to do so be shared by all who have had the responsibility for the laying down of the pipeline to date. And please finally keep in mind none of the oil, if it were to flow , is meant to help the US with its energy needs..this oil has already been sold to foreign markets. So not just time to think, it is time to act. It is sad to realize that it took over 2000 veterans showing up in freezing weather and snow before CNN was willing to cover this event. OK now that DAPL is 95% complete and Trump is about to take office, CNN will come and show how great the Vets are to support freedom of speech and human rights violations and treaty rights. To use the election as an excuse for why this issue has not been brought to the public via mainstream media is a very poor excuse since the election coverage was nothing short of cheap entertainment and mudslinging that also misrepresented what was happening in this country. I am sooo greatful for the brave people on the ground at Standing Rock who have been covering the events with their iphones and drones. Let's hope CNN can present an honest picture of the deeper issues, rather than just focusing on our courageous veterans. So it took veteran coming to Standing Rock to finally have CNN coverage of what has been going on since the Spring? 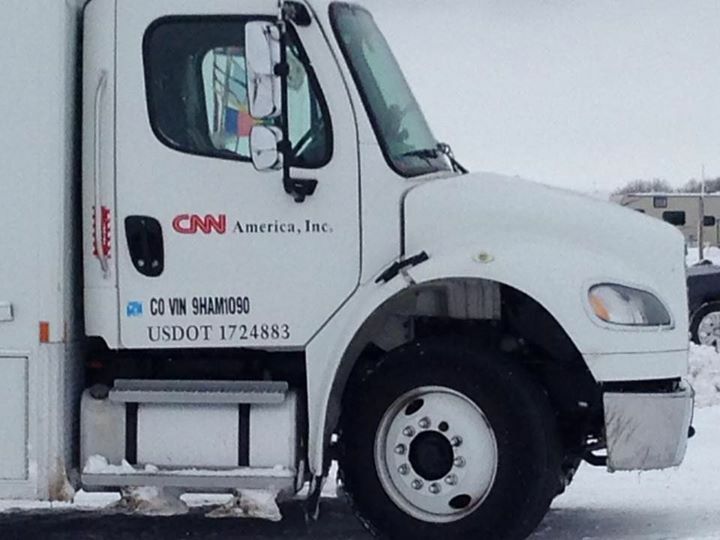 Shame, shame, shame on you CNN. You are not a decent news station. I do not watch you any more. CNN... Please... Show how good our people are and report the following. Mandan, ND - On Friday December 2nd at approximately 2pm CST Water Protectors from Oceti Sakowin camp will fulfill a donation list that the Morton County Sheriff's Department released on November 22, 2016. This should also be about religious freedom and religious rights. Many rights of our precious Natives are being trampled over. The DAPL need to go back to their original route they were going to use. But mostly I want to say the Natime Americans our a National treasure and should never be treated badly. They have their rights too. I really hope the US Vets being there will make a huge difference. At least it brought the predudice national press out there and that will open millions of Americans minds on how evil Big Corporation really are. May the Natives and the othets be protected from the evil militirized police. The media needs to show the violence that has been done to the people at Standing Rock and to make it known that the Governor of North Dakota has employed criminal methods and lied repeatedly about what is going on. He said that water cannons were used to quell fires, but it is proven on video that there were no fires, and that they were just water bombing the water protectors. That is just one example. Tell it like it is. I send prayers for all the brave people at Standing Rock.May their oppressors wounded hearts open to love and compassion. CNN (Corrupted News Network). I'll be completely ignoring mainstream media and tuning into Digital Smoke Signals facebook page and my other veteran brothers facebook pages for the real news instead. What is wrong with the original route that had been planned that was not on Native Tribal treaty lands? I expect that someone seemed to think that the Natives would be easier to deal with.......mmmmmmmThanks Veterans!